I thought I'd share with you a couple of sneak peeks at my #SConthegrid layout. In case you don't know, I'm a contributor to this exciting class. I feel so honoured to of been asked I tell you. I love creating & playing with my Studio Calico kits. So, I've collated a few Studio Calico products from my growing stash (that needs a long overdue cull) as well as using the Chelsea add-on kit from last year. 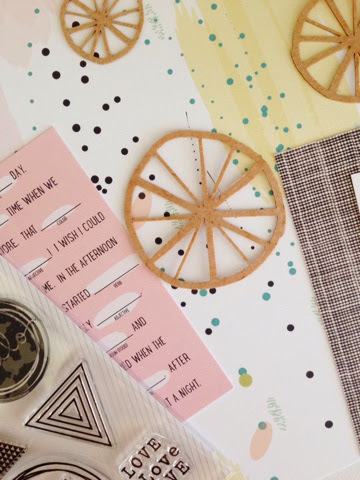 I'm so excited to share with you a few more sneaks before the class starts. Are you joining us? It's going to be lots of fun. I've completed a few of Marcy Penners classes & they are super awesome. You learn lots of practical lessons that you can easily implement into your own layouts. This class will no doubt be the same, plus I'm contributing so it definitely will give you lots of ideas, haha. I'm not biased at all. I'm so excited & pumped. 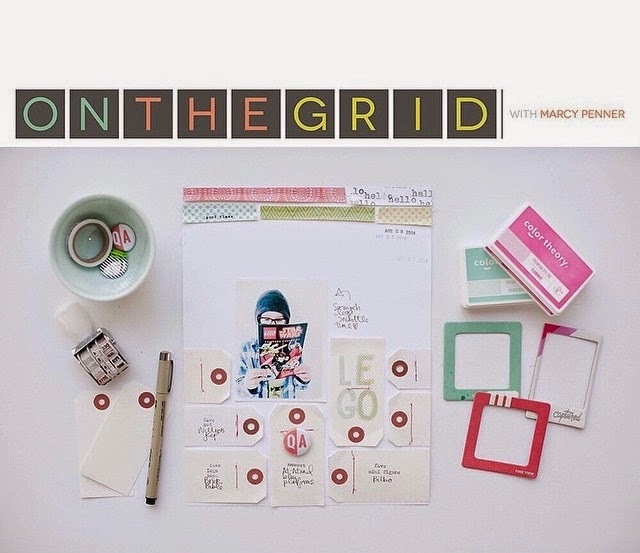 You can find out more about the 'On the Grid' class at Studio Calico here.